Tuesday, April 17th is Tax Day. If you haven't filed your taxes yet, this is your reminder. If you have, now's your chance to cash in on some freebies and deals in honor of the dreaded day. Free regular wedge with a purchase of any large pizza. Upgrade the regular to a super wedge for $1.70 more. Participating locations: 3800 Auburn Street, 3303 Niles Street, 40 Bernard Street,1410 Wible Road, and 1751 White Lane. Get a Cuervo Blue Margarita for just $5 on Tax Day. Visit your local Chili's restaurant to cash in on this deal. 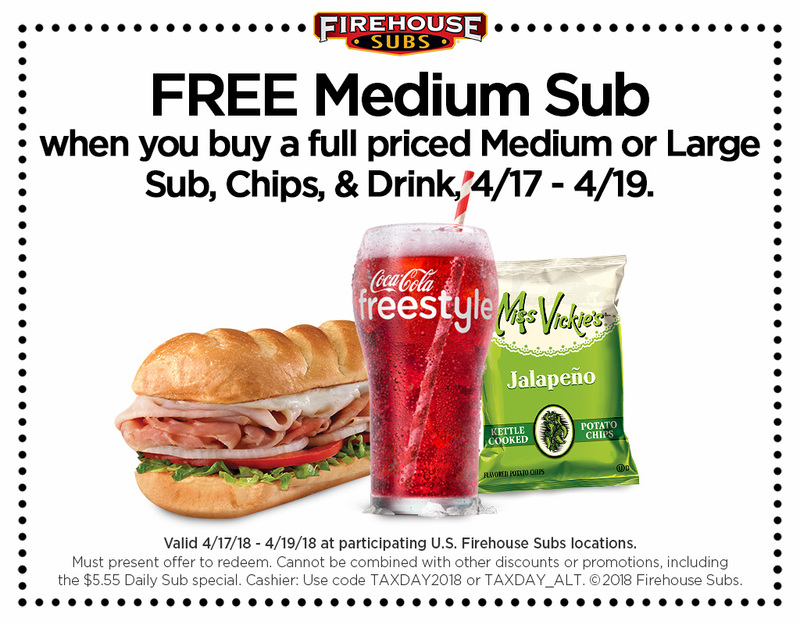 From April 17 to April 19 you can get a FREE medium sub when you buy a full priced medium or large sub, chips & drink. Get the coupon here . Get 5 FREE pounds of document shredding until April 28. 2018. Get the coupon here . Use the code "TAXDAY" to get 15% off takeout on April 16 and April 17. Cheeseburgers are half price every Tuesday for Family Night from 5 p.m. to close. Find a location near you .